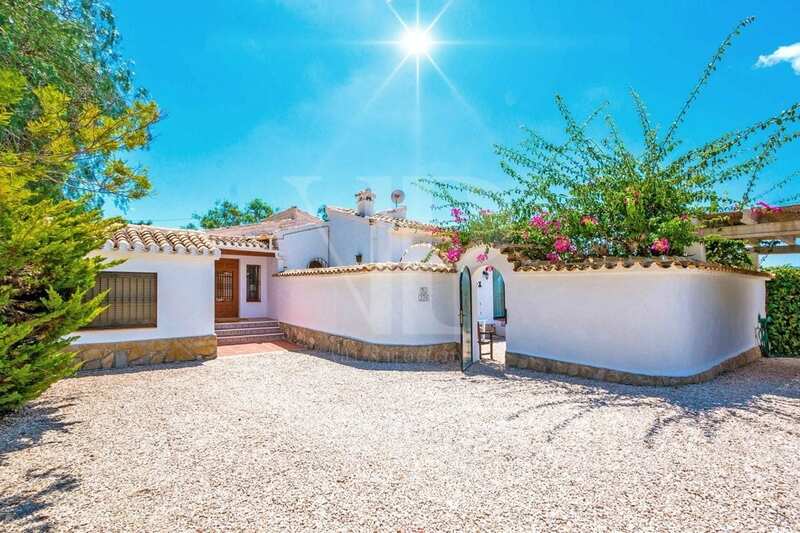 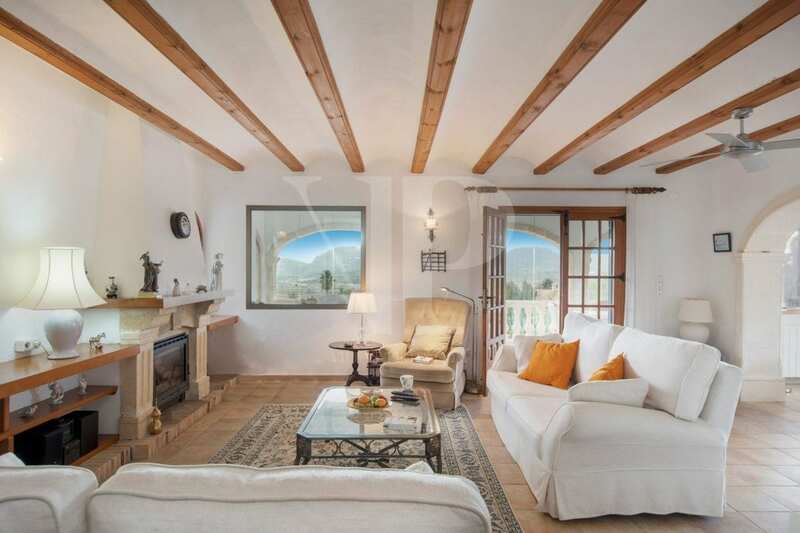 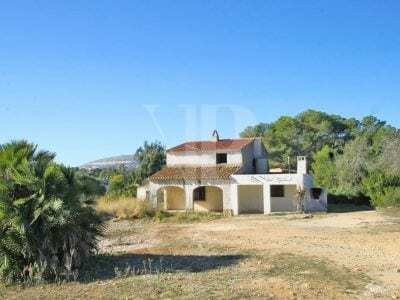 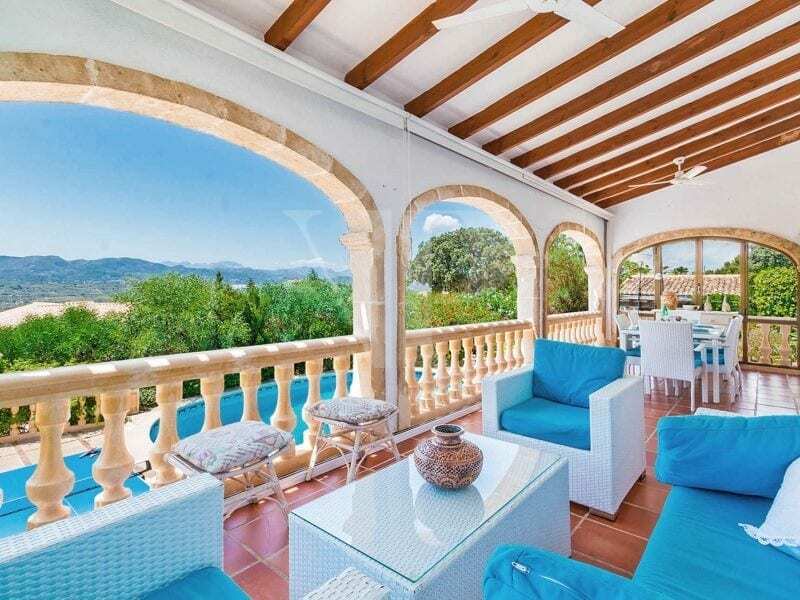 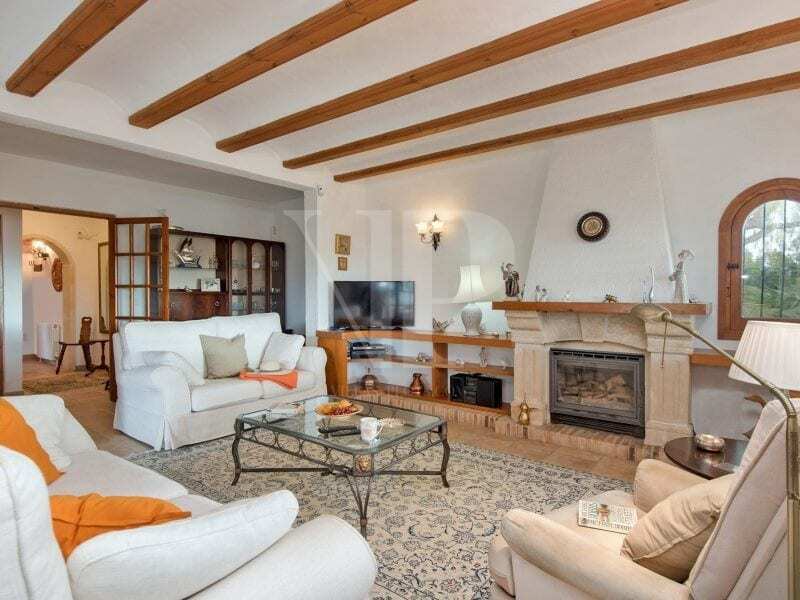 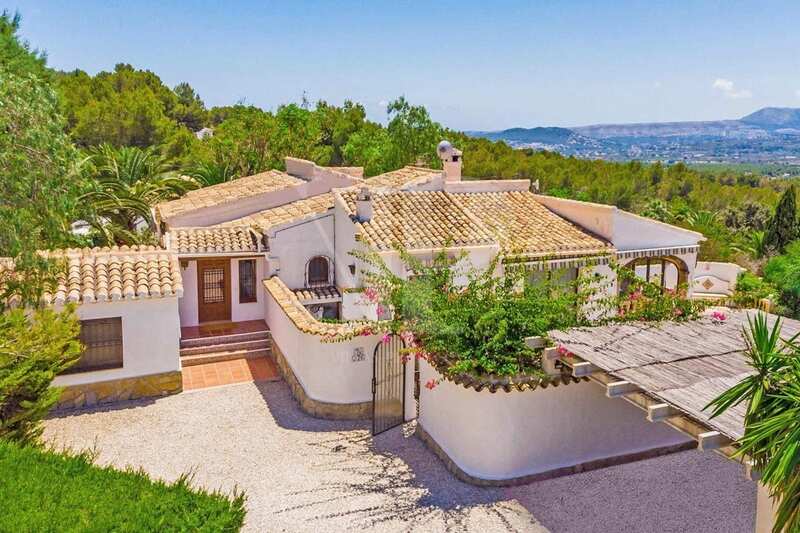 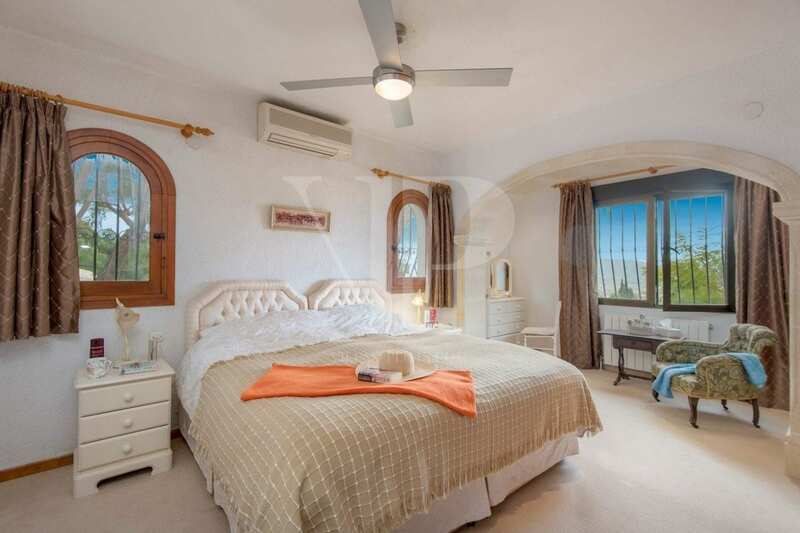 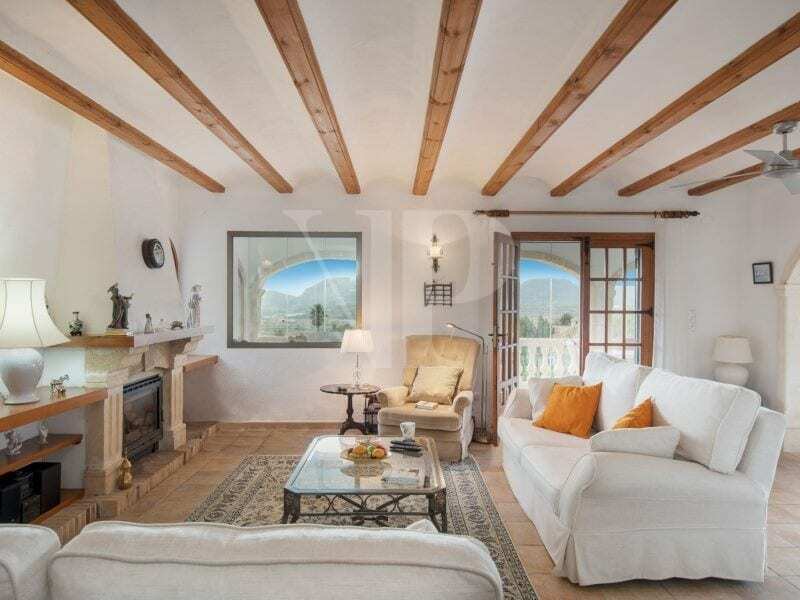 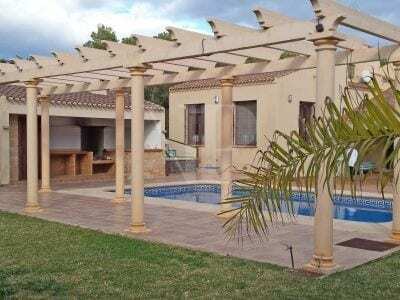 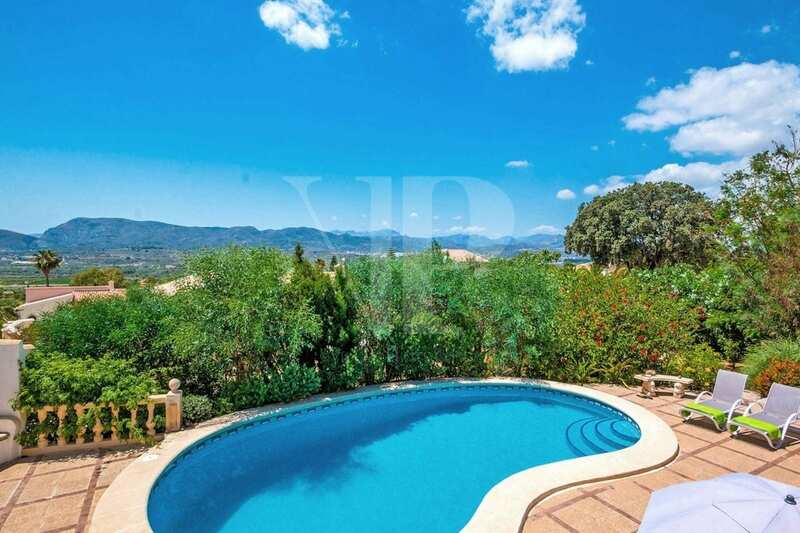 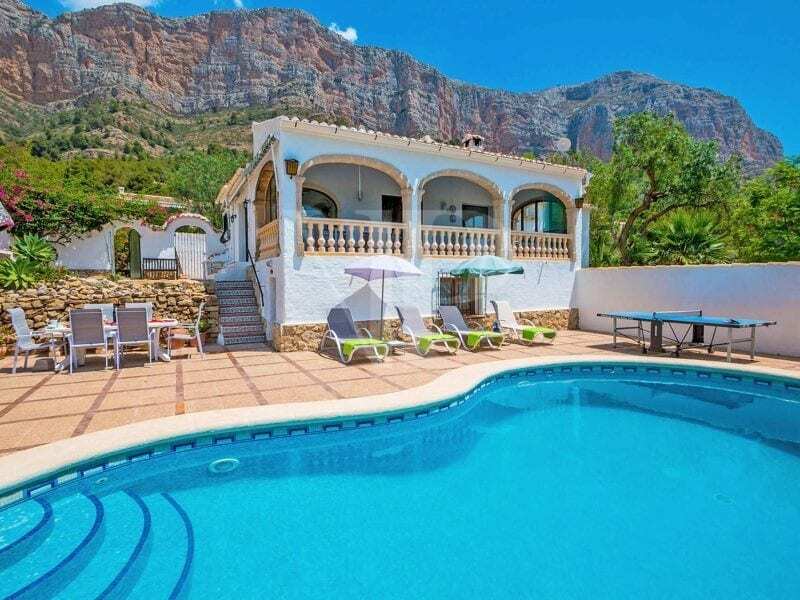 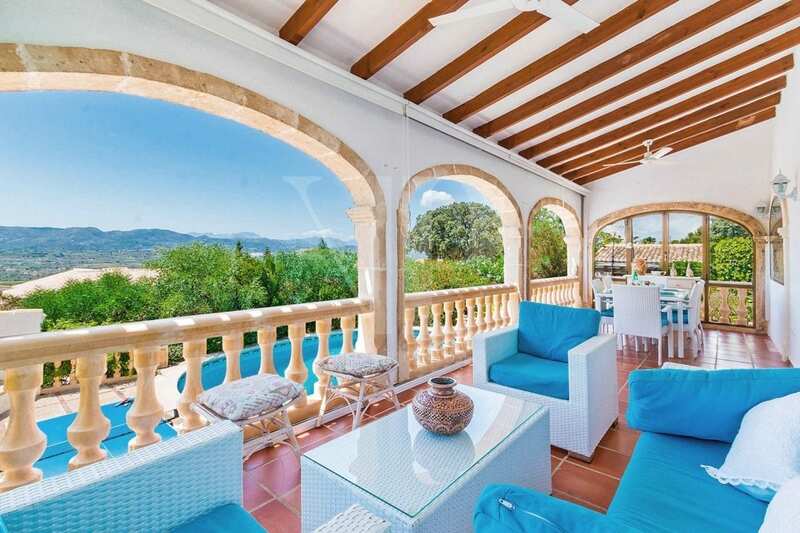 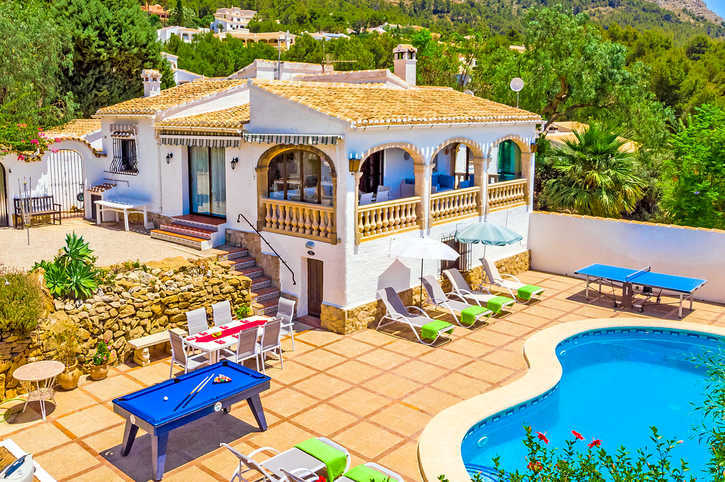 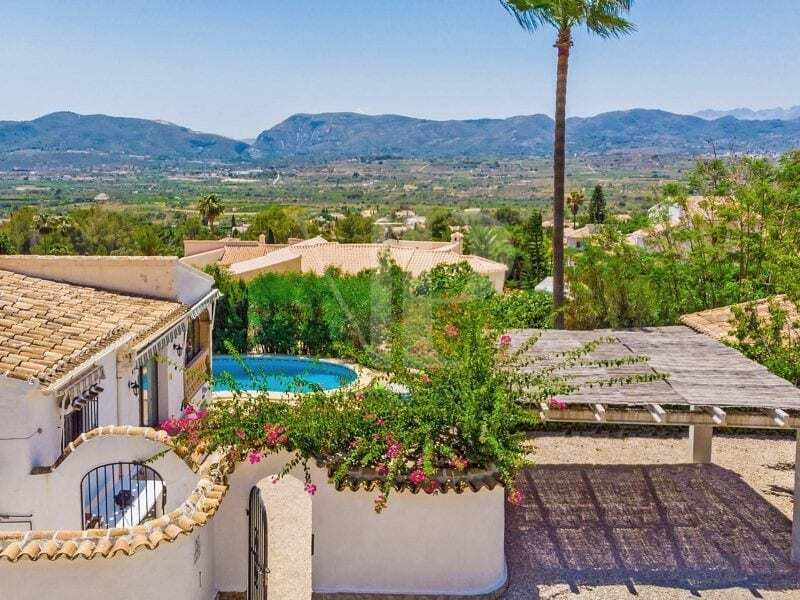 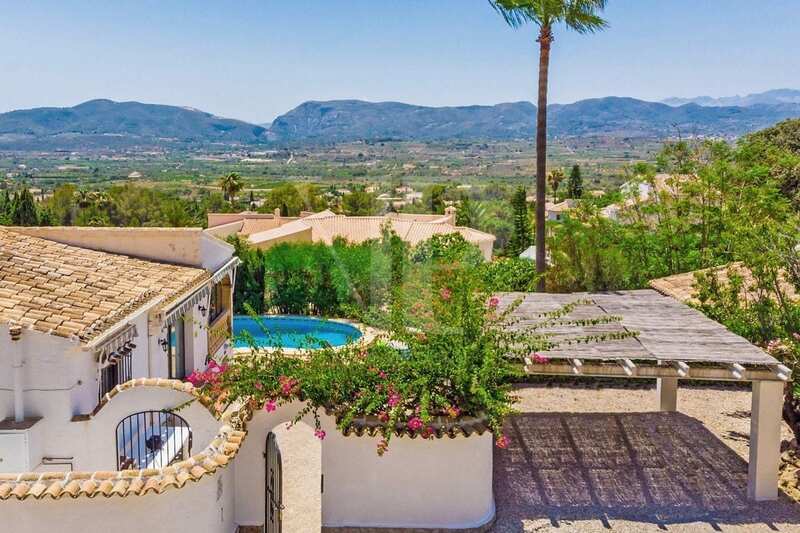 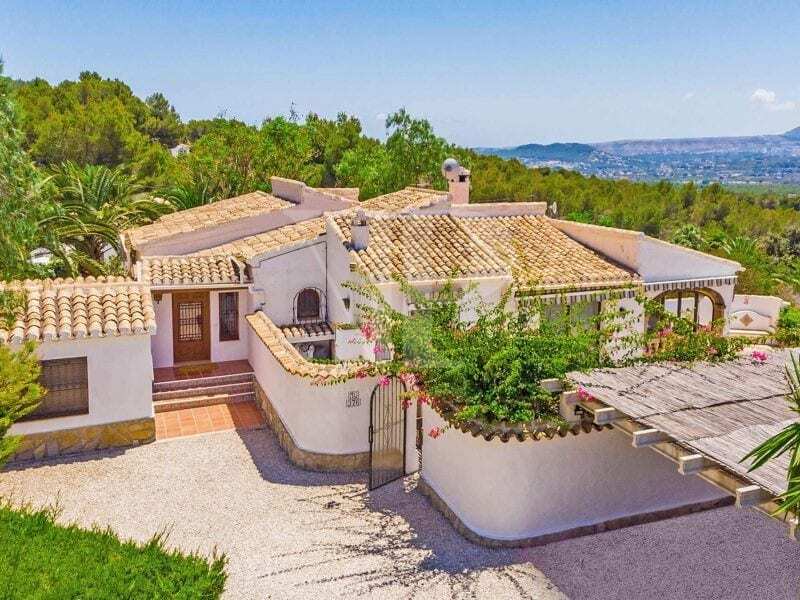 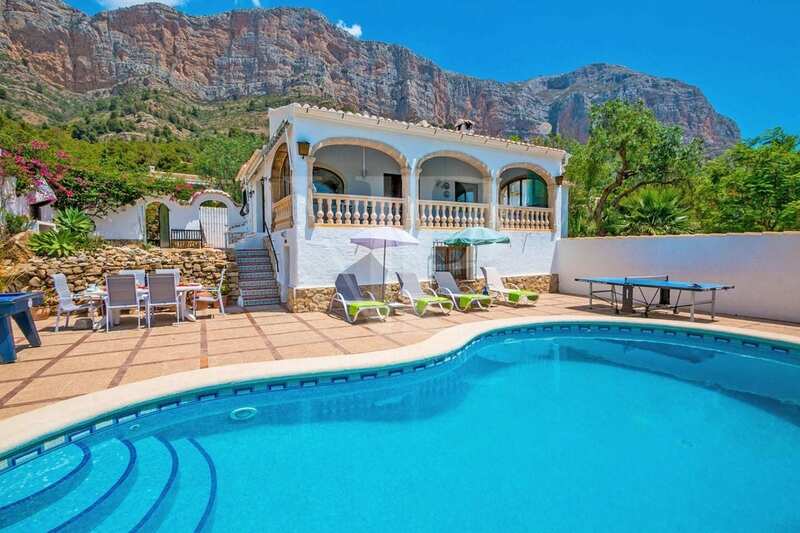 For sale: Villa in Javea in the traditional Spanish style, single storey with superb views of the mountains and the Montgo. 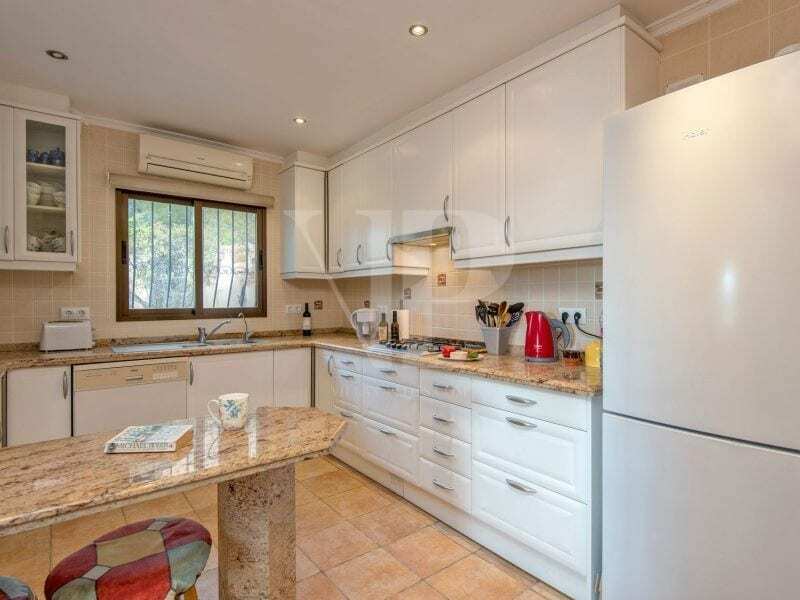 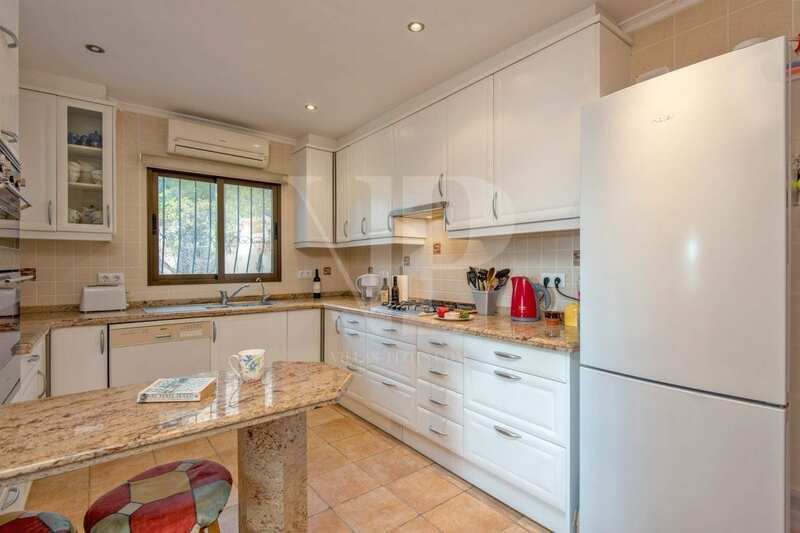 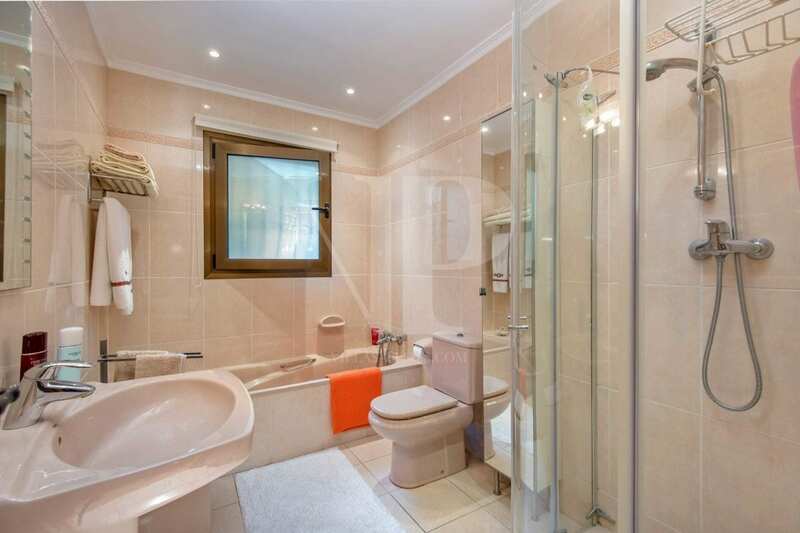 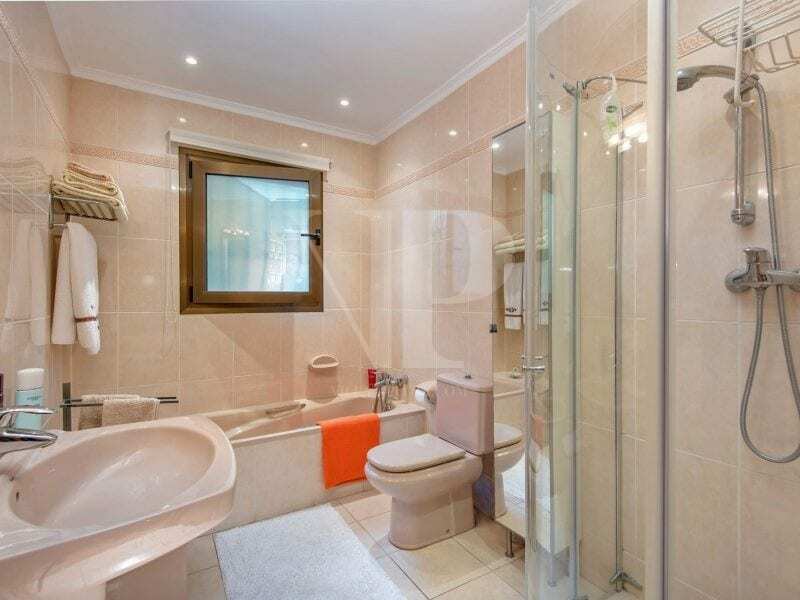 This house faces south in a quiet cul de sac street and offers; entrance, living room with fireplace open to the dining room of 40m2, large fully equipped kitchen, veranda, laundry room with guest toilet, 3 bedrooms including a master suite, the two bathrooms are equipped with a shower and a bath. 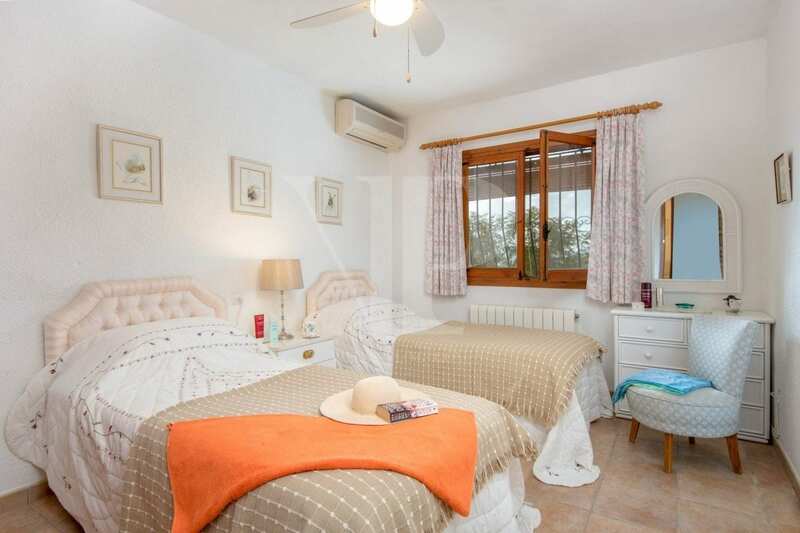 A studio was built in 2007, adjoining the house. 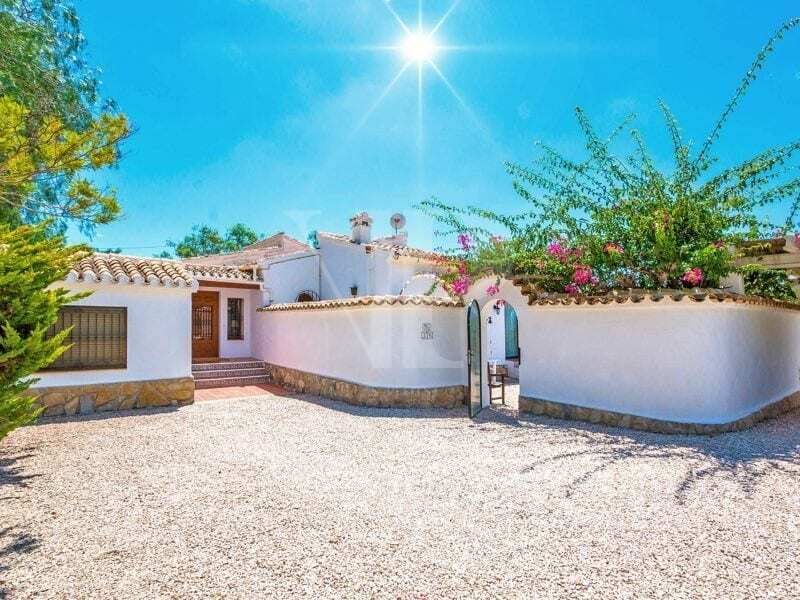 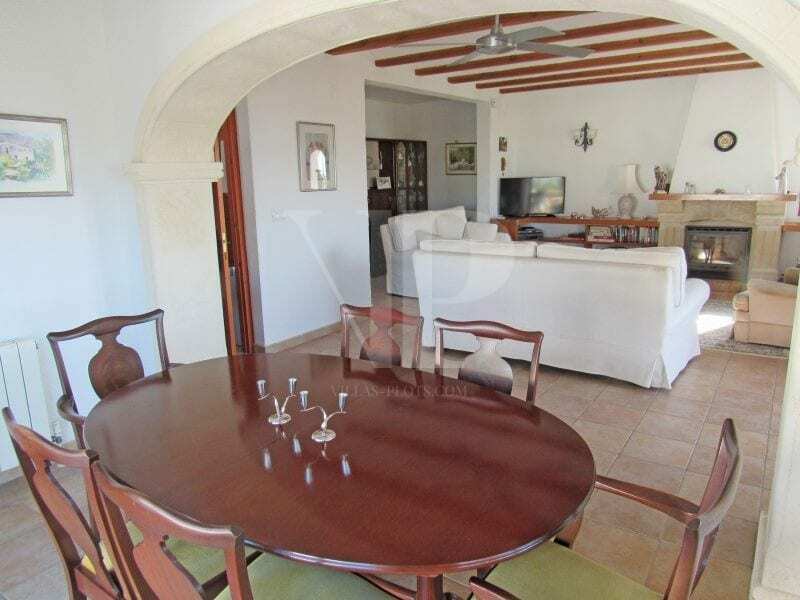 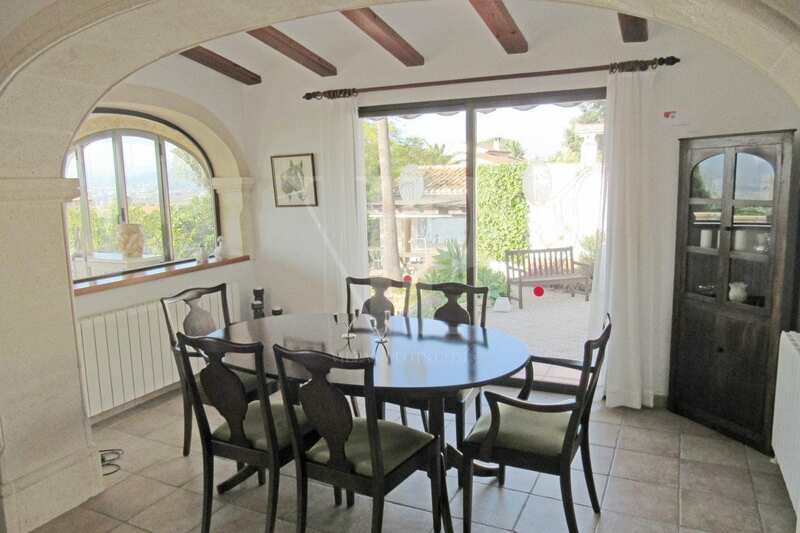 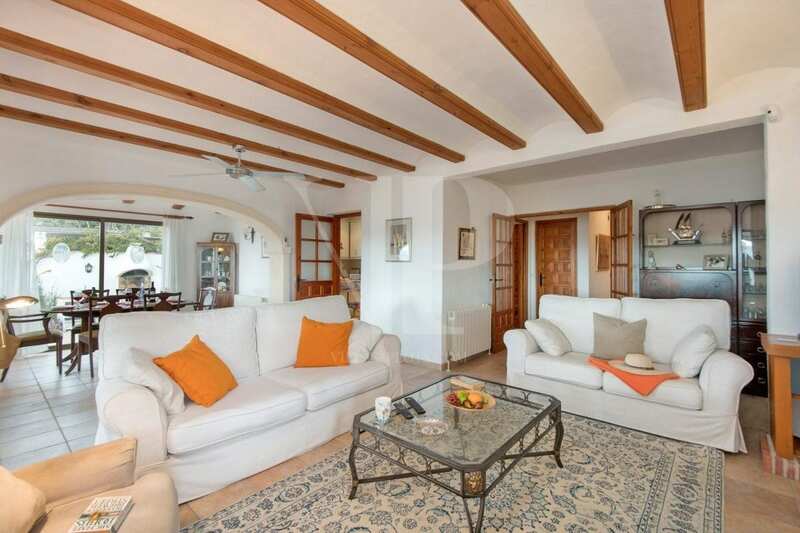 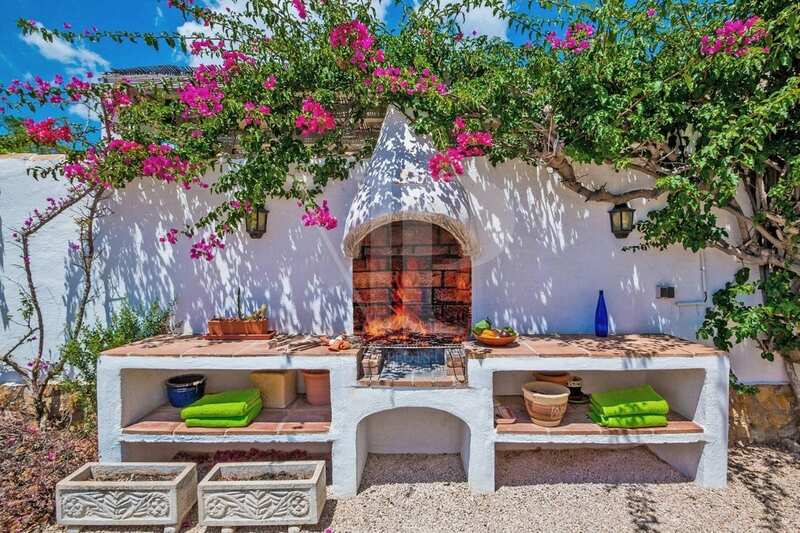 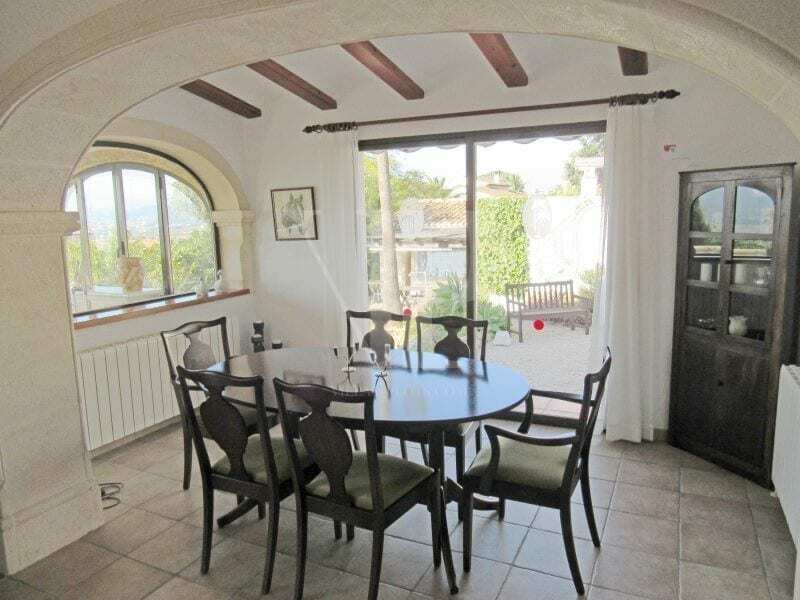 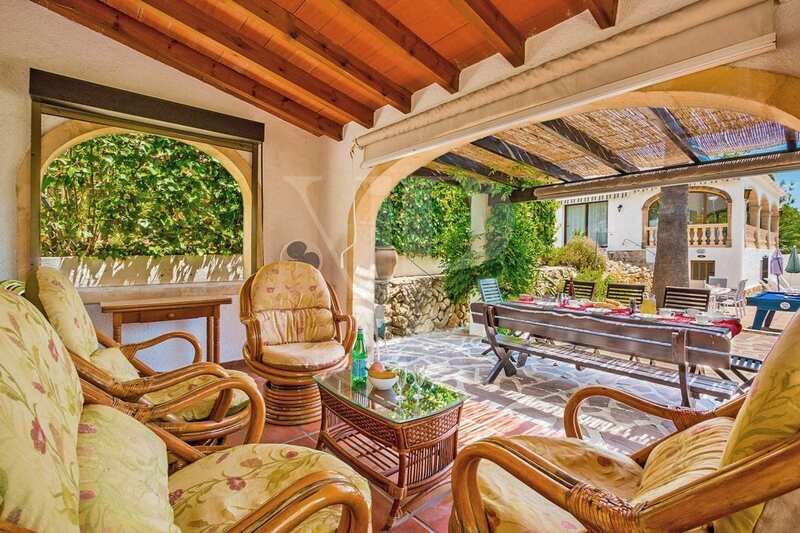 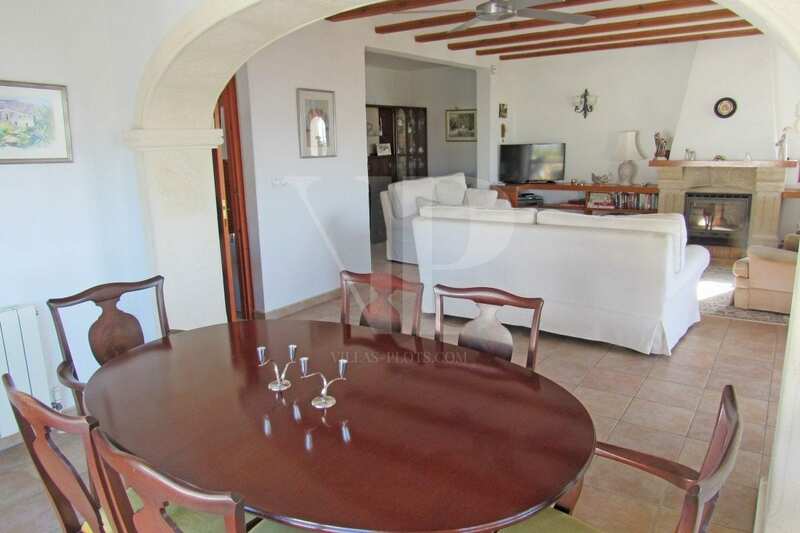 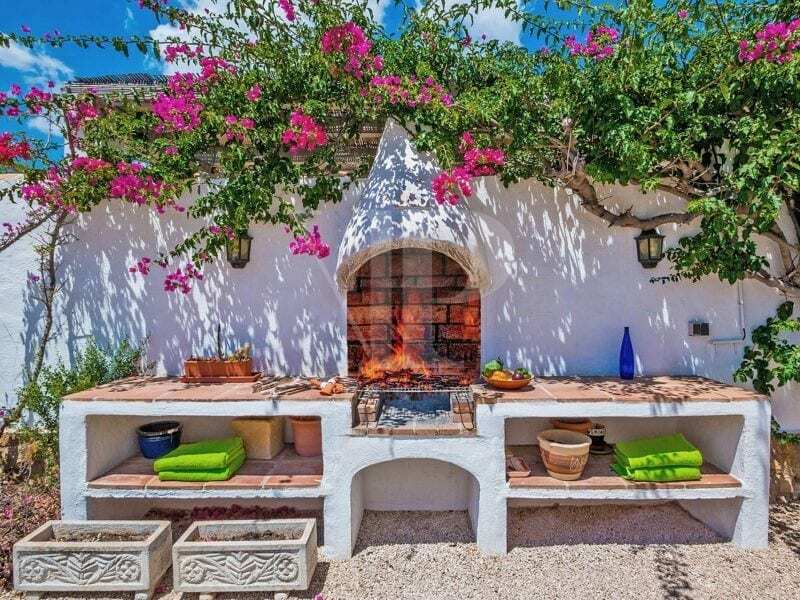 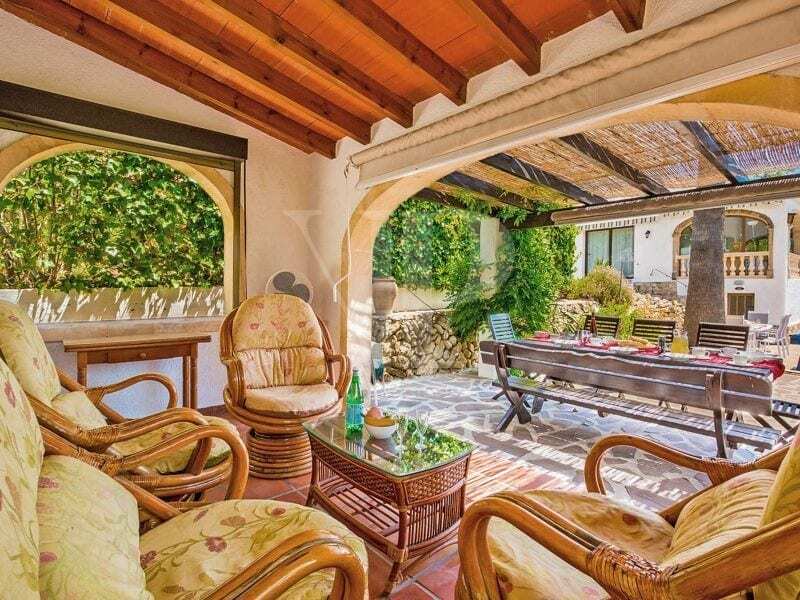 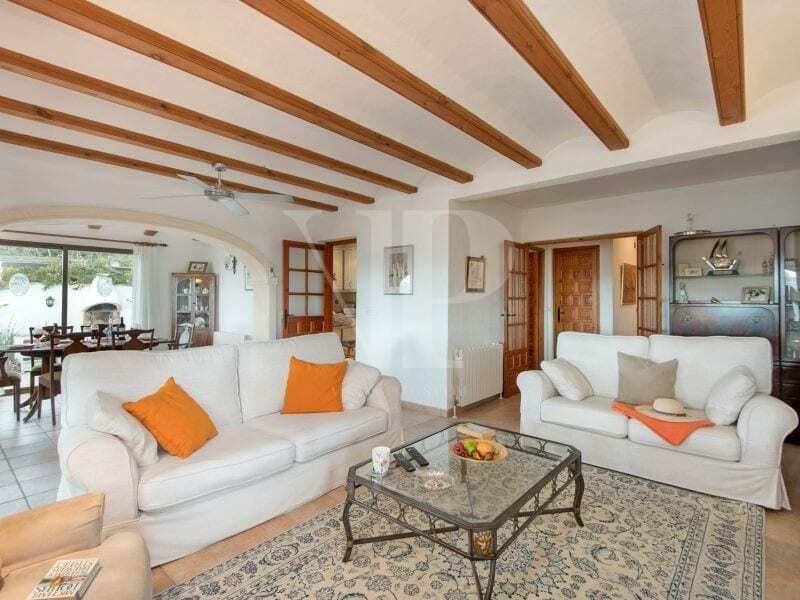 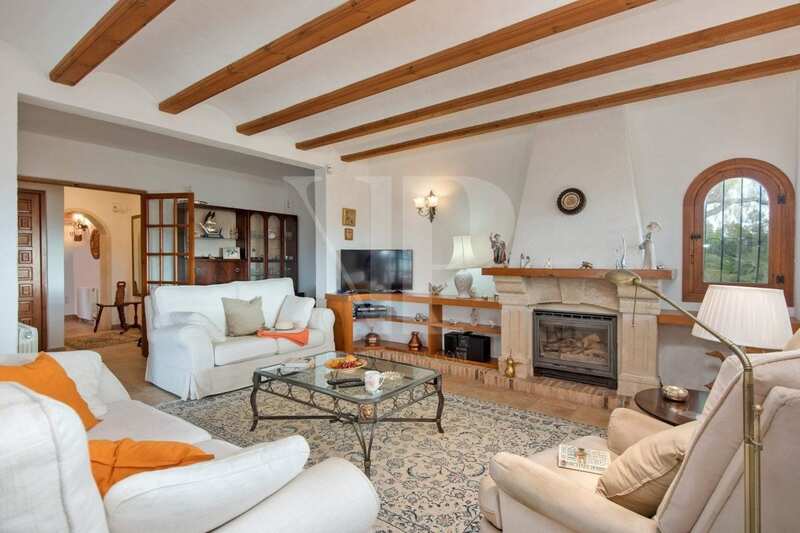 The villa also offers a summer kitchen, pool of 9x4m, covered terrace around the pool, garden, carport and parking space, air conditioning and central heating throughout the house.